Philippine audiences headed down the rabbit hole this weekend, as Disney’s “Alice in Wonderland” opened at No. 1 with a nationwide gross of an amazing P47.930-million in 144 screens for the March 4-7 frame. This was announced March 8 by Victor R. Cabrera, managing director of Walt Disney Studios which locally distributed the film. This figure marked the all-time third biggest opening weekend for Disney, after 2007’s “Pirates of the Caribbean: At World’s End” (P71-million) and 2006’s “Pirates of Caribbean: Dead Man’s Chest” (P66-million). It likewise became the second most successful March opening weekend in history, overtaking 2006’s “Ice Age 2: The Meltdown” (P41-million). “Alice” also gave Tim Burton his biggest opening in the Philippines, with a jaw-dropping 105% improvement from 2001’s “Planet of the Apes” (P23.4-million) and already surpassing 2005’s “Charlie and the Chocolate Factory’s” lifetime gross of P41.1-million in only four days of release. The top 20 cinemas that posted the best receipts are SM North EDSA (P4.10-M), Trinoma (P3.15-M), SM Mall of Asia (P2.95-M), Greenbelt 3 (P2.32-M), Power Plant (P2.08-M), Glorietta (P2.02-M), Alabang Town Center (P1.98-M), SM Megamall (P1.67-M), SM Cebu (P1.48-M), Shang Cineplex (P1.44-M). Close to their heels are Gateway (P1.30-M), Eastwood (P1.25-M), Greenhills (P1.22-M), Robinsons Galleria (P979,784), Sta. Lucia East (P946,002), Market! Market! (P899,608), SM Ilo-ilo (P843,668), SM Clark (P815,772), Ayala Cebu (P789,548) and SM Marikina (P712,517). In the U.S., “Alice in Wonderland” debuted to a gargantuan $116.3M, smashing box office records left and right. It was the biggest March opening ever soaring past the $70.9-million of “300” from 2007 and the best debut for a 3D film beating the $77-million of “Avatar” from last December. An epic 3D fantasy adventure “Alice in Wonderland” provides a magical and imaginative twist on some of the most beloved stories of all time. Johnny Depp stars as the Mad Hatter and Mia Wasikowska as 19-year-old Alice, who returns to the whimsical world she first encountered as a young girl, reuniting with her childhood friends: the White Rabbit, Tweedledee and Tweedledum, the Dormouse, the Caterpillar, the Cheshire Cat, and of course, the Mad Hatter. 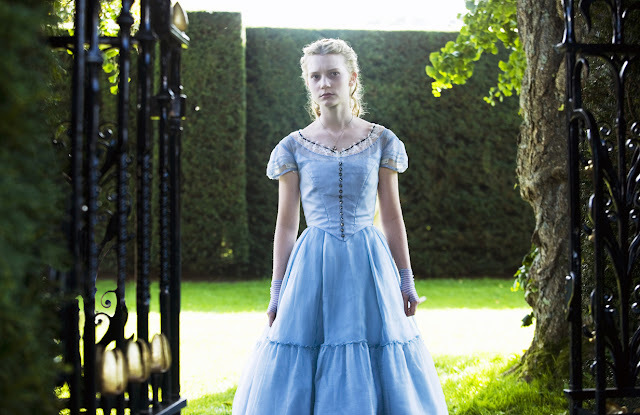 Alice embarks on a fantastical journey to find her true destiny and end the Red Queen’s reign of terror. The all-star cast also includes Anne Hathaway, Helena Bonham Carter and Crispin Glover. 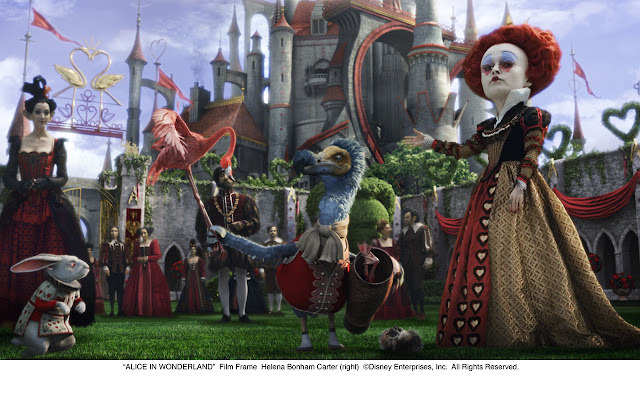 Still playing across the Philippines in regular format, Digital 3D and Digital IMAX, “Alice in Wonderland” is distributed by Walt Disney Studios Motion Pictures International.